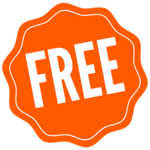 Category Archives for "Free Reads"
My husband often tells me that life is about the adventure. I usually retort that I like boring. I had the adventures when the children were young and was looking forward to life calming down. That doesn’t appear like it is likely to happen in the near future. The daily chaos can be draining. Anyone who has ever had children or who has a busy career knows that. What most people don’t want is the clutter, uncertainty, and confusion from the government spilling over into their lives. People have enough to worry about, and when we elect others to represent us, we expect for them to do their job. I won’t go into politics. As I mentioned, I like boring—except in a good book. At the moment, I believe people need an escape from the mayhem of the government shut down and what better way (other than exercising and fulfilling that New Year’s resolution to lose weight) then to take a journey to another world that would otherwise be impossible to go on. There is a reason the theologian-philosopher Reinhold Niebuhr’s Serenity Prayer comes in handy during times like these. The Serenity Prayer states: "God grant me the serenity to accept the things I cannot change, courage to change the things I can, and wisdom to know the difference.” This saying has guided me through dealing with teenagers and I use it now to help me deal with the government chaos that seems to grow daily. Hugs to all my family and friends who are currently working without pay or furlough. For one week only, download 12 science fiction romance stories for FREE! including my Tink’s Neverland. I am joined by Evangeline Anderson, Pauline Baird Jones, Cara Bristol, Mina Carter, Viola Grace, Laurie A. Green, Pippa Jay, Eve Langlais, Heather Long, Donna McDonald, and Carol Van Natta. Alien eggs can only mean one thing – an adventure! 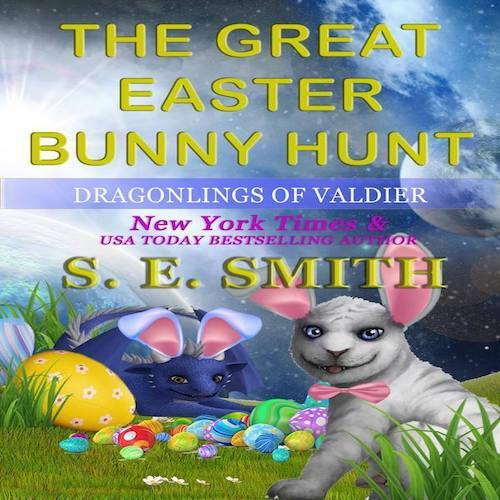 A pile of unusual eggs leads to an exciting Easter egg hunt for the kids and the adults alike in this delightful holiday tale. The children must work together to recover Jabir’s coveted eggs after the Great Easter Bunny is caught taking them away. Can the Dragonlings and their besties save the day? “Really, Ha’ven? You just couldn’t resist, could you?” Trelon asked with a disgusted voice. “You look fine, Trelon,” Vox said. “You aren’t the one wearing a dress and pink toe nails,” Trelon retorted. Trelon awkwardly turned and rested his paw covered hands on his hips. His vision was partially blocked by the cover of the mask he was wearing. This had to be the absolute stupidest stunt he had ever been involved in before. 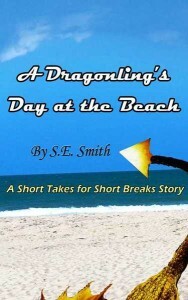 Our Dragonlings, Roam and Alice and their families are off to the beach celebrating the last days of summer, sea and surf. The barbeque is ready, the umbrellas are up, now we just need you to come and join the fun! 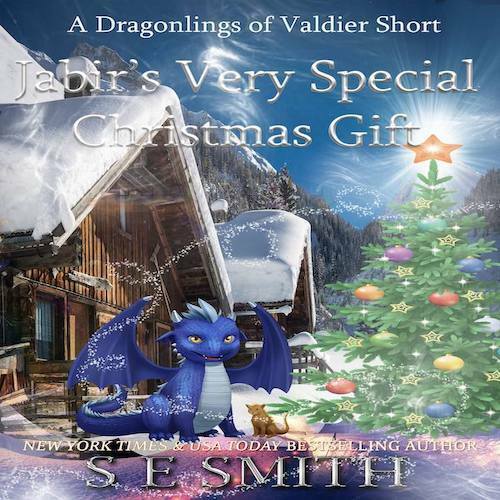 I hope you enjoy this short story with our favorite characters from the Dragon Lords of Valdier, Dragonlings of Valdier, Curizan Warriors, Sarafin Warriors series. Happy summer, everyone!